Our aptly-named Curvaceous CV template features gorgeous grey curvy boxes to hold your information. Shaded in a soft grey, they provide an elegant design touch without being too distracting. The grey is mirrored in the headers as well, giving an attractive and balanced overall appearance. Classic Garamond makes the perfect font for this template! Free Curvaceous CV template in Microsoft Word	Overall rating:	4.6	out of 5 based on 13	reviews. Standing out from the crowd is one of the biggest issues faced by job hunters today. Your CV and covering letter are the only way you can do this before you've got a foot in the door with that all important interview - so choosing a CV template that catches the eye is important. At the same time, gimmicky designs with too many graphics and distracting colours can turn off prospective employers and result in your CV finding its way to the bin. Our Curvaceous CV template draws the perfect balance - giving you an eye catching design that is elegant, interesting but professional and not gimicky. Who is this CV template for? Or some other choice from our MS Word CV template collection which makes use of the full width of the page. How do I customise the boxes on this CV template? You can choose whether you want the border to be solid, dotted or dashed. 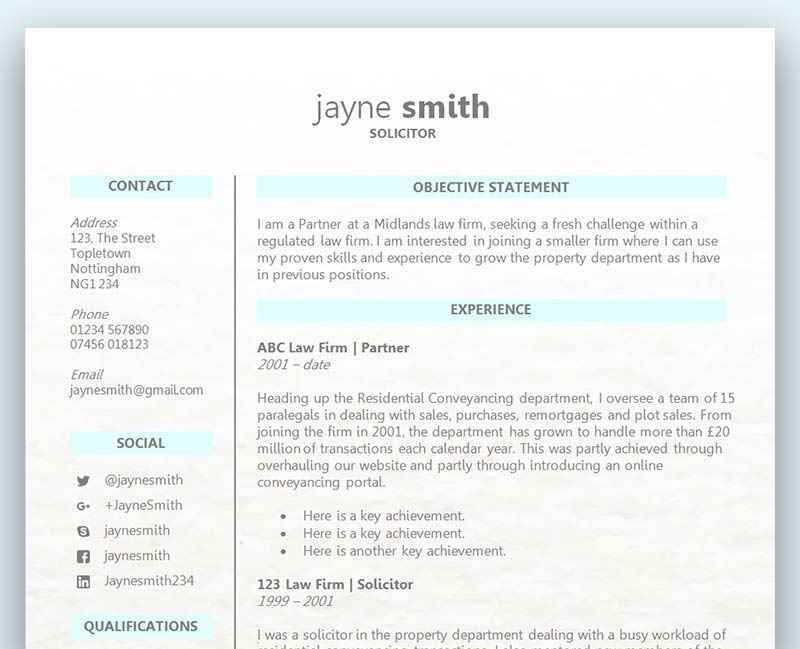 Text boxes are a really great way to add stylish detail to your CV template. You’ll see from the video that there are plenty of stylish designs to choose from, in addition to the one we’ve used to create this CV template.